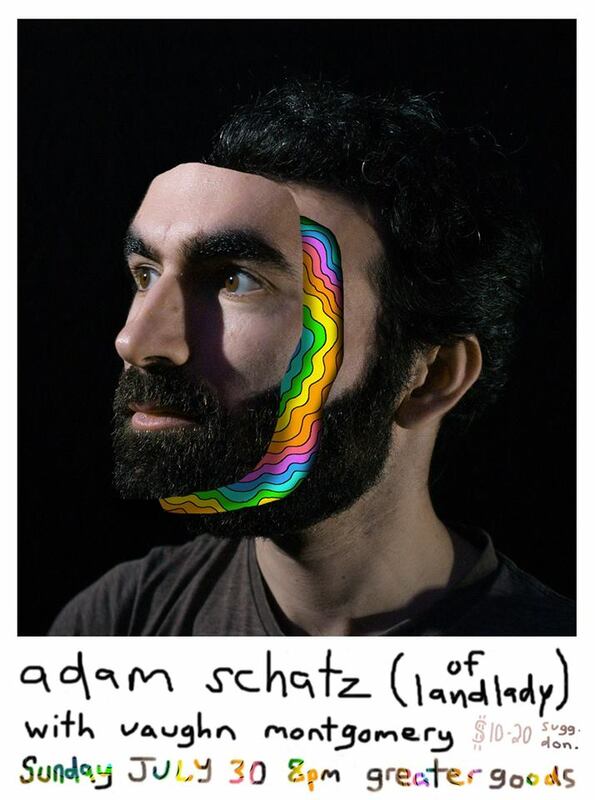 a rare solo show for Adam Schatz, the creative force behind the brooklyn based art/pop band Landlady . check out their amazing site & tunes here: http://landladyland.com/. opening the show will be greater goods’ own vaughn montgomery of The Chillz (check their new videos there).